I was recently given a copy of new cookbook Good to the Grain: Baking with Whole-Grain Flours by Kim Boyce. As someone who loves to bake but doesn’t love to eat tons of white flour, I was excited by the potential of trying recipes using whole grains as varied as amaranth, teff and kamut to boost the nutrition and flavour of recipes. First up? 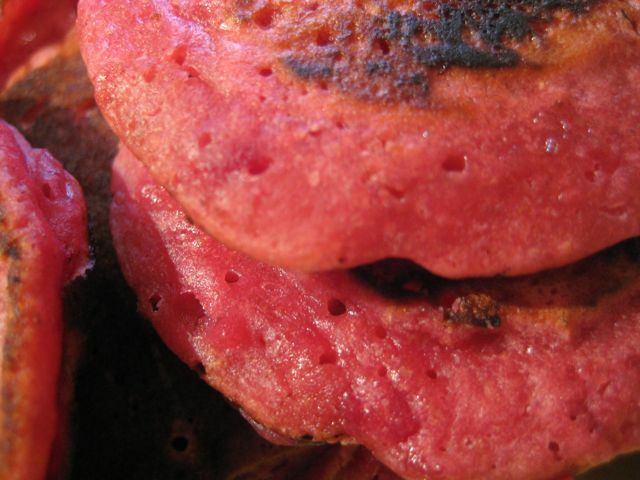 I couldn’t resist the lure of the pink pancakes: Quinoa and Beet Pancakes, that is. 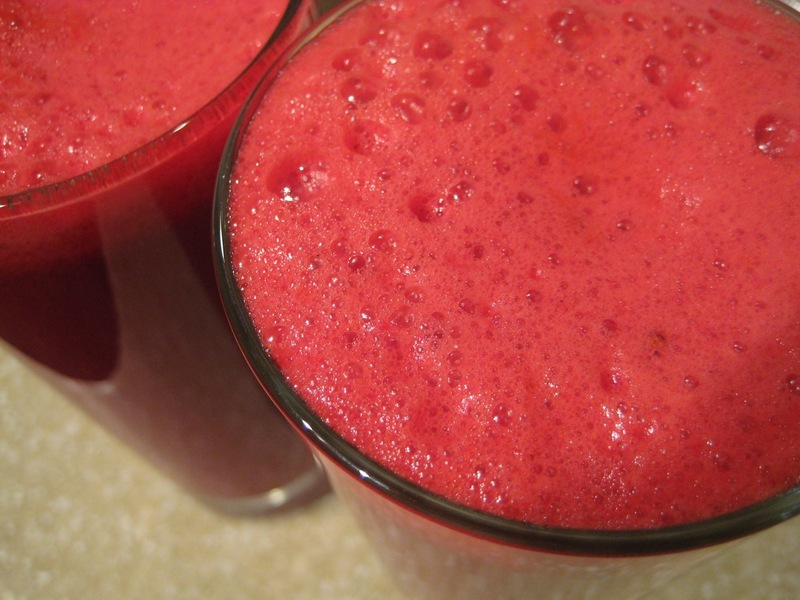 It uses half a cup of pureed roasted beets for colour, flavour and a bit of a nutrition boost (plus they lessen the need for sweetener), and the flour is 1/4 whole wheat, 1/4 quinoa and 1/2 white. The verdict? 1. They are very pink, and I love it, and I imagine they’d be really fun to make with kids, especially the ones obsessed with the colour pink. 2. You can definitely taste the beets, but as a beet-lover, I think that’s a good thing, and roasted beets are very sweet and go well with syrup and yogurt, which is how we served them. 3. I couldn’t really taste the quinoa flour, or I didn’t think I could, but I’d be interested in doing a comparison test between these and all-wheat pancakes. 4. The recipe definitely makes enough for four, and since we’re only two, I’m going to try freezing them for quick breakfasts in the future. Oh, and I love this recipe book. For once, something on the market that’s actually got a new (and challenging) angle on cooking. One of the things I love about growing beets is that you get a lot of value for the space: you eat the roots, you eat the greens. 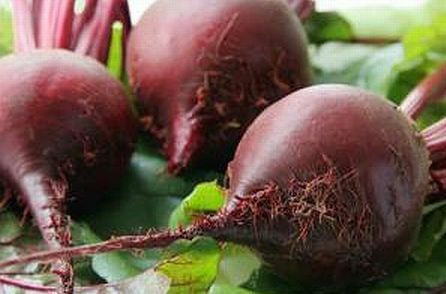 Better yet, even though beets need some space to grow (so the root can get bigger), you can plant them thicker from seed and thin them when the greens are big enough to eat. The reddish leaves near the back of the planter are my beets. Beets are related to chard and the greens are similar to swiss chard, so you can cook them in the same way and the same recipes. The easiest way is to sauté them. I like to do them in olive oil and garlic, then when they’re cooked, add a bit of lemon juice or balsamic vinegar, then serve. Delicious!